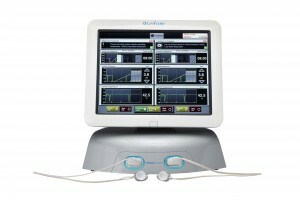 Family Vision Center is proud to offer the latest technology in treating Evaporative Dry Eye:LipiFlow! Dry Eye is most commonly defined by the quantity or quality of the tears your eyes produce. Nine out of ten individuals suffer from Evaporative Dry Eye. This condition is essentially the dysfunction of the Meibomian Glands, which are the glands that produce the oils for your eyes. The tear oil works to keep the tears close to the eye and prevent them from evaporating. When the oil-producing glands are blocked, not enough oil is produced and the tears will evaporate faster, drying your eyes out. 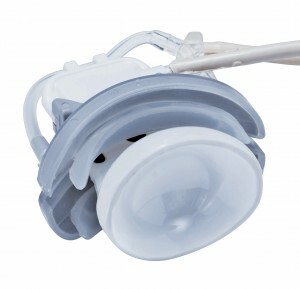 The LipiFlow Thermal Pulsation System is an FDA-approved treatment procedure for Evaporative Dry Eye. It is a thermal eyelid massage that applies consistent and comfortable heat to your eyelids. This heat and pulsation pressure will massage out any blockages in your meibomian glands, so your glands can secrete oils and provide symptom relief. The disposable LipiFlow Activator is placed under your eyelids, and is specially shaped to prevent contact with the cornea and front surface of the eye. The patient is reclined and comfortable while the Activators massage the eyelids with heat many refer to the procedure as a spa treatment for your eyes. Do I qualify for LipiFlow? There are many treatments for dry eye available, and LipiFlow is just one of them. Your doctor will determine if it is the right course of treatment for you based on many different tests and determinants. One of these tests is LipiView, which evaluates the oil layers in your eyes. Will my insurance cover the LipiView or the LipiFlow treatment? While it is FDA approved, LipiFlow is not currently covered by insurance plans. The LipiView Procedure and your dry eye evaluation may be covered by your insurance. For more information on the procedure, pricing, or anything else please call us at 1-203-377-2020. 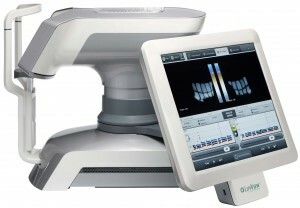 You may also visit www.LipiFlow.com for more information.